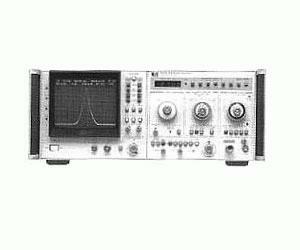 The performance and ease-of-use of the Agilent 8570A Spectrum Analyzer make it an ideal choice for lab, production, and field uses. The internal preselector provides wide dynamic range necessary for many applications while it simplifies signal identification. Precise measurements are made quickly and easily with features such as three-knob operation and digital display. Documented results are conveniently obtained with the direct-to-plotter HP-IB output.